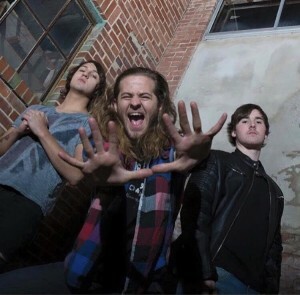 If you’re looking for a new band that’s got a grungy, brooding edge with a hard rock bite, look no further than ANOTHER DAY DAWNS. Their new single “LOVE SHE’S AFTER” rocks! Complete with an irresistible, anthemic chorus, “LOVE SHE’S AFTER” easily could (and should) be dominating radio waves across the country. Be sure to catch ANOTHER DAY DAWNS when they’re in town, playing NYC’s Arlene’s Grocery on April 1st with local legends MoTHER. Q: What was your inspiration for writing “LOVE SHE’S AFTER”? DAKOTA SEAN, LEAD SINGER OF ANOTHER DAY DAWNS: This song actually was based on a true event. I believe I was around the age of sixteen or seventeen when I encountered my first “love affair”, which got me in some pretty big trouble because of course she was married at the time. But that’s a whole other story in itself haha. Q: What’s your favorite lyric from “LOVE SHE’S AFTER”? DAKOTA OF ANOTHER DAY DAWNS: My favorite lyrics of the song would have to be in the bridge part, where it says “all the things you had to hide where’s your trust and where’s your pride?” I just think that’s a solid statement and quick to the point of saying that, pretty much, she can’t be trusted. Q: Describe ANOTHER DAY DAWNS in a five word phrase. DAKOTA OF ANOTHER DAY DAWNS: Most energetic upcoming rock band. DAKOTA OF ANOTHER DAY DAWNS: My biggest inspirations are honestly the fans. I mean, we have seen a tremendous amount of support for our shows, and especially for the new single, and that’s what inspires me the most out of everything. DAKOTA OF ANOTHER DAY DAWNS: I’m actually from a small town in PA called Tamara, best known as “The Coal Region”. DAKOTA OF ANOTHER DAY DAWNS: We’ll be playing at Arlene’s Grocery in NYC on April 1st with MoTHER. DAKOTA OF ANOTHER DAY DAWNS: Probably, at this moment, my favorite song currently is “Love She’s After” just because it’s crazy hearing everyone in the audience singing along with us. And to me, that’s one of the greatest feelings. DAKOTA OF ANOTHER DAY DAWNS: Keep writing, keep performing, tour all over. I continue to stay humble and no matter what the outcome is, I was born a musician and that’s what I’m going to continue to pursue. DAKOTA OF ANOTHER DAY DAWNS: Most definitely a blizzard. I was raised in Buffalo, New York, so I’m kind of not bothered by the cold. Really because I cannot handle heat at all. 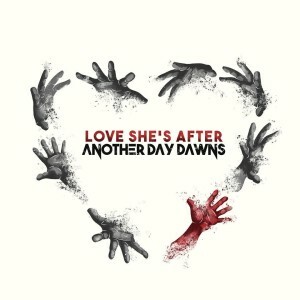 Check out ANOTHER DAY DAWNS at www.AnotherDayDawns.com, and grab “LOVE SHE’S AFTER” on iTunes. Photos provided by Flexitone Records. Madysin Hatter is a Singer/Songwriter/ROCKER. Have a song you’d like to have featured? Visit www.MadysinHatter.com to contact and submit.